What anime girl stereotype are you? Imouto means "little sister". Imoutos are very young at heart, enjoying the simpler things in life. They often struggle to keep up with everybody else because they are slow thinkers and slow doers; they prefer to do things at their own pace. Naturally they are fostered heavily by their friends and family, struggling to do anything by themselves. They are very trusting people, but are prone to being crybabies. Imoutos would like to be more mature and responsible people, but for now they simply look up to others and try to move forward in this big scary world. I hate that this is actually accurate. lolllll watch out wolfychu, there's a new loli in town!! Lolis are the characters who stick out like a sore thumb in a group for looking ridiculously cute. They look far younger than their age, be it short height, flat chest or baby face, and people constantly assume they are underage. This isn't helped by the fact that the loli type has a childish personality to match their looks; they love dolls, eat all kinds of sugary food and give everybody cutesy nicknames. Nobody is sure if a loli ever truly grows up, but what they do know is that lolis can never eat enough cake. didn't expect this lmao. it fits my personality but i always thought i was a kuudere. 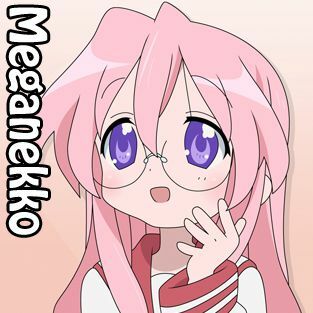 The Meganekko is the girl who wears glasses. There is something about an anime character wearing glasses which gives them an odd vulnerability that people find endearing. Meganekkos are normally gentle, modest, soft-spoken people who tend to be quite shy, preferring the introverted lifestyle. They are bookish people who love to read and are very passionate about particular topics they have studied. Even if you do not own a pair of glasses, you hold the common personality traits assigned to anime girls with glasses. Danderes types are the distant characters with a social aloofness. Quiet, withdrawn and timid, they remain in the shadows and rarely express themselves. They struggle to share their feelings with people, even their closest friends, which means they can sometimes be mistaken for being cold. However Danderes are anything but cold; they have soft hearts, but it just happens to be hidden behind a protective shell due to how they were treated in the past. People should take it as a major honour if a Dandere opens up to them.